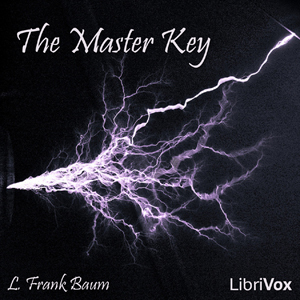 The Master Key was one of Baum's earliest full length fantasy books for children, published in 1901 just one year after The Wonderful Wizard of Oz. The protagonist, Rob, while experimenting in his workshop, accidentally summons up an electrical fairy who presents him with electrical devices so advanced as to seem magical. His gifts include a flying contraption, a stun gun, and something resembling an omniscient portable TV set. Rob travels the world, rendering assistance to European heads of state and narrowly escaping disaster at the hands of "primitive" cannibals, Turks and Tatars, pirates, and evil scientists who try to steal his inventions. It's great fun, despite the occasional use of racial stereotypes that reflect the values of its time.